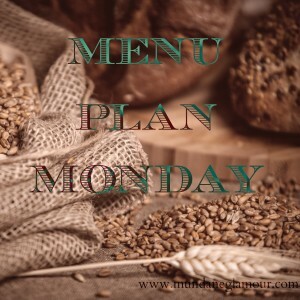 My second Menu Plan Monday and already there’s a pattern! The pattern of meals from the previous week not being made and being pushed onto this week’s menu! Huzzah! 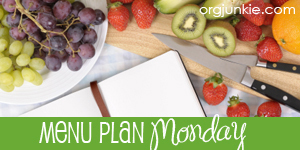 This post is linked up with Menu Plan Monday at OrgJunkie! This entry was posted in Food and Health and tagged menu planning. I love menu planning! I love going through my recipe list and finding new things to try each week. Now I am trying to learn how to eat within my Warrior genotype diet, which is an offshoot of the blood type diet as presented by Dr. Peter D’Adamo. Warriors generally have Type A blood. It’s similar to a mostly vegetarian macrobiotic diet. Giving up certain foods is torture (beef! bacon! tomatoes! potatoes! [most] CHEESE!) Even though I’m not 100% compliant yet I can already notice a difference in my joints and some bloating which I didn’t even know I had! My menu plans are always more of a guideline than a hard-and-fast plan, so some things might not get made until days later than I post here. Weekends are usually a free-for-all. The dinners I make are also my lunches for the next day or two (or three or four). 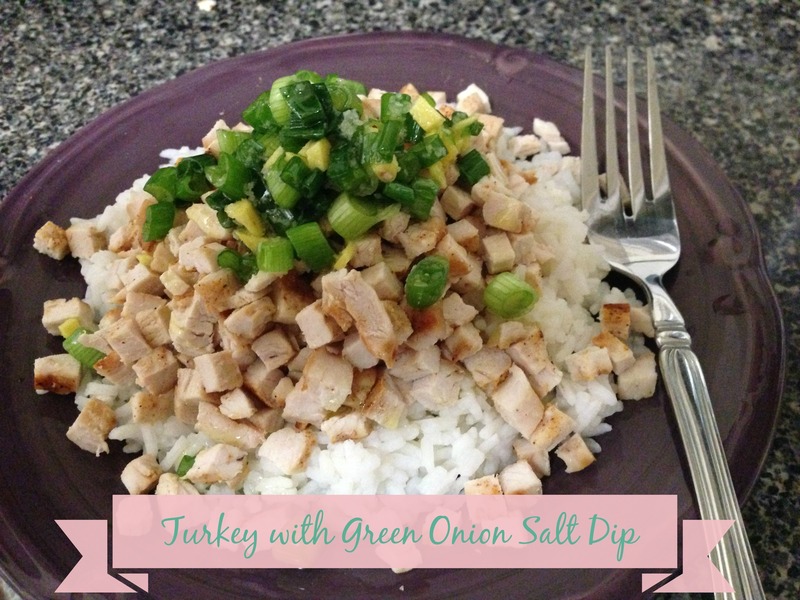 MONDAY: Turkey with Ginger and Green Onion Salt Dip – the recipe calls for chicken but that’s an avoid for a warrior. WEDNESDAY: Eating out before going to Drag Queen Bingo! FRIDAY: Lime Fish Tacos – I’ll be using red snapper and substituting ghee for the butter. Wegmans carries brown rice tortillas and I’ll use kefir instead of sour cream. 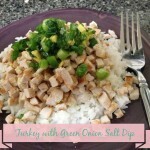 This entry was posted in Food and Health and tagged food, menu planning, recipe.